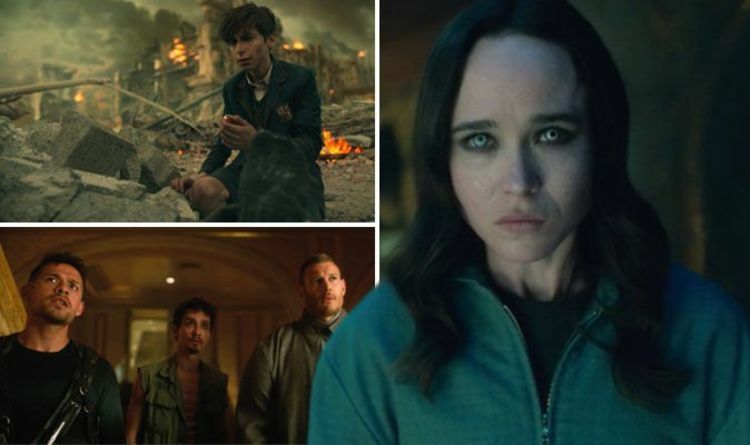 Binge-watched “The Umbrella Academy” last weekend – it didn’t disappoint. “The Umbrella Academy” is not your average run-of-the-mill superhero show where things return to normal at the end. This 10-episode series is based on the graphic novel created by Gerard Way (the former lead vocalist of now-disbanded rock band My Chemical Romance) and artist Gabriel Bá, who both serve as co-executive producers on the show. “The Umbrella Academy” is cosmic in nature, it’s a science-fiction superhero tale, and there is all that family drama and laughter that you would expect, but with many, many, many twists and turns. 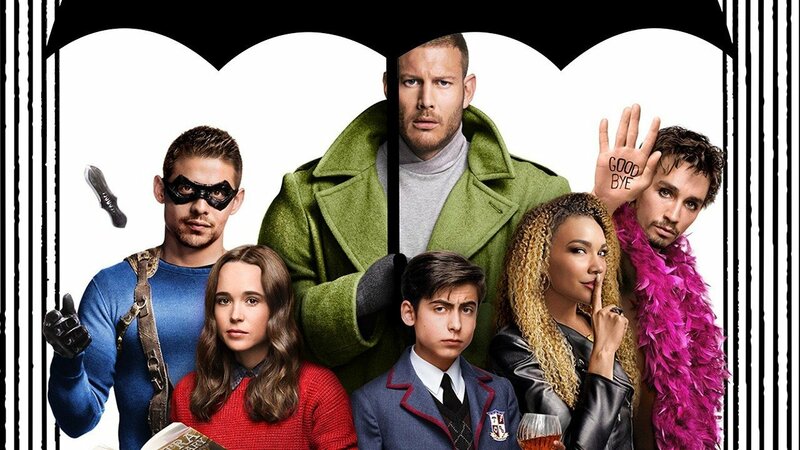 “The Umbrella Academy” opens with the birth of 43 superhuman children, all born on the same day. The weird part: None of these women had been pregnant when the day first began. It revolves around seven children, all born under a mysterious circumstance and adopted by a famous entrepreneur – Sir Reginald Hargreeves. Each of these children showcase extraordinary gifts, and Reginald trains them to be superheroes, thus forming The Umbrella Academy. However, Hargreeves was an expert at teaching his kids to save the world, but less able at the fatherhood part of the equation, thus seeing some of the kids grow up as messed up teenagers who decide to run away from their father and withdraw their membership from the Academy. And that’s what we call a dysfunctional family of superheroes. Now they are adults, they have scattered to the four winds and are brought back to the family home/academy when their father enacts his last plan in hopes of reuniting them after a fallout years ago in an attempt to save the world from an imminent apocalypse. The huge assemblage of actors, such as Tom Hopper (Number One a.k.a. Spaceboy), David Castañeda (Number 2 a.k.a. The Kraken), Emmy Raver-Lampman (Number 3 a.k.a. The Rumor), Robert Sheehan (Number 4 a.k.a. The Seance), Aidan Gallagher (Number 5), Justin H. Min (Number 6 a.k.a The Horror) and Ellen Page (Number 7 a.k.a. The White Violin) feels right at home. Without giving too much away, most of the children — Numbers One through Six — have powers. The exception is Number Seven who has been side-lined her whole life for being “ordinary” – at least that’s what we were made to think of. The story builds slowly, making ample use of flashbacks (and some flash forwards) to tell the tale. Even by the fifth episode, I still wasn’t sure where the plot was headed, despite the looming apocalypse. However, the story starts happening from the second half onwards, where more discoveries will be made and unmade. And while knife throwing seems pretty mundane, and talking to dead people isn’t altogether new, it’s the way “The Umbrella Academy” puts it all together that makes you squeal with glee. What I did love, however, was the clever use of music. There’s a scene in which all the siblings retreat to their own rooms after the funeral, a record starts playing (Tiffany’s I Think We’re Alone Now) and everyone starts dancing to the music. It’s a poignant moment of solidarity that reflects the familiarity found in a family unit. It’s clever and the choice of music really sells it. Overall, “The Umbrella Academy” is surprisingly emotional, capturing the feeling of remorse that often comes with hurting our loved ones. From a powerless hero to a super strong kid desperate to please his father, The Umbrella Academy brings a whole new perspective to a genre that previously seemed fixed in its approach.